Pat Flynn: Hey, what’s up everybody? Pat Flynn here, and welcome to Episode 822 of AskPat. Thank you so much for joining me today. As always, I’m here to help you by answering your online business questions, five days a week. We have a great question today from Katie, but before we get to your question Katie, I do want to thank today’s sponsor, which is DesignCrowd. If you’re stuck on ideas on how to develop your next design, any sort of design: logo, website, landing page, whatever, you can check out DesignCrowd because they have over a half million designers worldwide to help you crowdsource custom graphics. Doesn’t matter what kind of business you have, you can get the perfect custom design every time or your money back. Check them out. Go to DesignCrowd.com/askpat. You can learn more, download a free guide on how to crowdsource great images and graphics, and you get $100 off your next design when you enter the promo code “AskPat.” All right, now here’s today’s question from Katie. Katie: Hi Pat, my name’s Katie Kimble and I’ve been blogging at KitchenStewardship.com about real food and natural living since 2009. Now, I have 2,200 posts and that’s what my question is about today.  I just finished listening to SPI podcast number 200 about the site content audit, and I’m so jazzed to go through my site and just clean up the junk that’s in my archives. My husband created a tool that listed all of my short posts under 300 words, because under 300 words Google’s going to ding me for short content, so I have 222 of those. Most of them are just crud. There’s nowhere to redirect to. Now, your guest Todd said that he 301 redirected almost every post that he deleted. I guarantee that I’m going to have these 200, plus probably another couple hundred that are longer, but still crud that will have nowhere logical to redirect to. Is there any precedence for just deleting posts? What do I need to do? Do I need to 410 those, or can I just trash them and not get into trouble with Google? I have a second question, too, and it’s about those carnivals that you did mention in that podcast. As a female blogger I was in a ton of carnivals. I’m wondering about the back links to my site that I entered in other people’s carnivals. Are those going to be negatively reflecting on my own SEO, and should I be approaching those bloggers and asking them, “Hey you guys, you should do a content audit too and delete these carnival posts.” Also, I have about a dozen carnivals that I hosted, some of which are thematic which I link to from my ebooks on the same theme. If I just delete them, it’s going to create a negative user experience for purchasers of my ebooks. Can I get away with keeping some of those carnivals, or are they just a real black sheep in Google’s eyes? Thanks a lot, Pat. I’m excited to do my content audit. I’m hoping for a little bit more direction. Pat Flynn: Hey Katie, thank you so much for the question. I really appreciate this. This is one of the major topics that was talked about last year in episode 200. Again, SmartPassiveIncome.com/session200 for some of you who may have not gotten that yet. That’s run by, or my guest was Todd Tresidder from FinancialMentor.com. He was actually really inspirational for me as well, because I had just recently went through a redesign and a content audit at the same time. It’s just great, because the reason why you’d want to do this really quick is because as you’re writing a blog you write about stuff, and as you could tell from Katie’s question, there’s going to be things that don’t matter anymore. You don’t want your blog in its entirety to act like a first draft. You want to be able to continually audit it so it becomes honed in and it becomes just tighter and it becomes better for, not just the human experience, but obviously as a byproduct for Google, which will increase your traffic and get you better rankings for certain keywords. It’s been known to happen to almost everybody who does these audits in the right way. To your question, so content under 400 words typically would want to get “deleted.” I wouldn’t actually straight up delete them entirely; I would redirect them. I wouldn’t do a 410 redirect as well. A 410 redirect, for those of you who don’t know what that is, a lot of you know what a 401 redirect is. That’s saying basically, “Hey, the content that you were looking for isn’t found.” A 410 is close to the same, but it’s essentially saying, and it’s landing people on a page that says, “Hey, the content that you’re looking for has been deleted.” That’s better because it’s more specific, but it’s still not a good user experience because it’s sort of a dead end. What I would do is actually take those 300 word blog posts of yours and redirect them to something that is similar in content or similar in topic if possible. If that doesn’t exist you might want to end up creating a page or something that relates to something of that topic, if at all. See if there’s some kind of blog post or page or some tutorial somewhere. I wouldn’t redirect them just to the home page, because it almost seems like an error at that point, but something similar. You could also, what I would recommend potentially doing is creating a page that might have some language specifically for people saying, “Hey, what you were looking for doesn’t exist anymore, but here are some things that might actually help you.” Not a 401 page that has some more links on it, and traditionally I would say your 401 page should be less like a dead end and more like a, “Here, here’s a detour.” Creating a page specifically if there’s some sort of theme throughout all those different shorter pieces of content, something a little bit more meaty that you can just have redirect from each of those things, that would be the best way to go about it. Now, the other thing is, when you delete content, another thing that wasn’t actually talked about on that episode is that there could be some sort of “collateral damage” when you delete pages and stuff. You know how when you create pages they’re often in specific categories or tags. Let’s say for example these 222 that were 300 words or less, they were all in a specific category or a tag. If you were to redirect them all or delete them, that tag would just be empty, or that category would be empty. Make sure that those things also get taken care of, too. Now, to your other question about carnivals, carnivals typically have a great way of getting short term bursts of traffic and introducing your brand to other brands and whatnot. I wouldn’t worry about having to reach out to other people’s sites and having it negatively affect yours. That’s typically not going to happen, because if that were the case I could negatively affect another person’s site on purpose, and Google doesn’t want that to happen. It just doesn’t have a positive effect, but it’s not going to give you a negative effect. At least, that’s what I understand about the process. Just worry about the carnival stuff on your own site, and whether or not that’s still useful or not. If not, you might want to treat it the same way where you can redirect. You may have a page created or a resource page on your site that could be somewhat similar, so that when people are coming from your ebook, and it’s very great that you’re thinking consciously about your ebook users and their user experience, you still want to have a place that they go to that will be useful. I would recommend something like a resource page where you potentially link to other websites and stuff. Maybe at the top of that page even, you could say, “Hey, this is sort of an updated version of the blog carnivals that used to exist on the site.” Or something like that. That way, again, it just continues that conversation, which is really what the user experience is all about. You just want to always be able to continue that conversation that you’re having with your audience, and not give them a dead end or a weird stopping point. Hopefully that helped, Katie, and it gives you some good information. There’s some good articles on Yost.com about deleting pages that you can check out. You can just look those up in Google. Yost is probably the best place to go to for things like this in the future for anybody out there who has more technical questions related to search engine optimization and setting up your website, and things like that. Cool. Thank you Katie, I really appreciate it. I want to hook you up with an AskPat t-shirt for having your question featured here on the show. For those of you listening, if you have a question that you’d like potentially featured here on the show, head on over to AskPat.com and you can ask right there on that page. Thank you so much, I appreciate you and as always, here is a quote to finish off the day. This one is actually a Yiddish proverb. That is, “If I try to be like him, who will be like me?” That’s crazy. Awesome, thanks so much guys. Take care, and I’ll see you in the next episode of AskPat. Bye. Today’s question comes from Katie, who has a question about the SEO impact of deleting old content and setting up redirects for her website. Should she delete her content that’s under 300 words? Should she set up 301 redirects or 410 redirects? What is going to happen to my carnival links? Katie’s website is at KitchenStewardship.com. In this episode, we mention Smart Passive Income Session #200 about doing a content audit on your website. Listen to that episode at SmartPassiveIncome.com/session200. Do you have a question about auditing your old website content? Record it at AskPat.com.